In Part 1 of this article, I shared with you some examples of simple alterations that will extend the life of your wardrobe. We can get so much more wear out of the hidden gems lurking in our wardrobes if we use our imaginations, and our scissors (or the help of a professional) to rework them into new pieces. I’ve done this successfully with many items – jackets, skirts, dresses, jeans, even shoes. So in this second and final part of this article, I’ll share my 3 steps for extending the life of your wardrobe, through simple and easy alterations. All of this will just be Interesting Info unless you give it a try, which I encourage you to do! If you truly seek to create a wonderful, working wardrobe for yourself, follow these 3 steps – and just see what happens. Have some fun with this, be light and playful – there’s no way to fail with this, and a lot to be gained. And remember to experiment and explore! Pick out the easy items in your wardrobe for alterations. These are items that you just know are great candidates for reworking, restyling and reimagining. It might be that work jacket that fits you like a glove, or that patterned maxi dress that is simply too long or too flowy, or those fabulous taupe pants that you just aren’t wearing anymore. These are the ‘low hanging fruit’ that you can have altered almost immediately – now you’re inspired and committed to getting that little extra squeeze from these wonderful items. Over the next few weeks — a month is ideal — consider those items that you would turn to, you would wear, if they were somehow a little different. Maybe they worked in a different version of your life, but they aren’t quite right for the life and style you have now. Nothing is off-limits – no sacred wardrobe cows – and especially consider those items you have previously loved and worn a lot, but are hanging or sitting unworn now. How could they be reimagined and reworked to give them a new lease of life, and to give you enjoyment and use of them again? Do it. Don’t just imagine these items differently, but take the next and crucial step and alter them, or have them altered by a professional. Just reimagining them is an important and necessary step, but is insufficient – you must have them reworked for them to extend the life of your wardrobe! For those items you wish to alter yourself, set aside some time to do it in the next week, two maximum. If you can’t commit to doing them in that kind of short time period, have someone else do them – otherwise, they could continually fall off your To Do list. 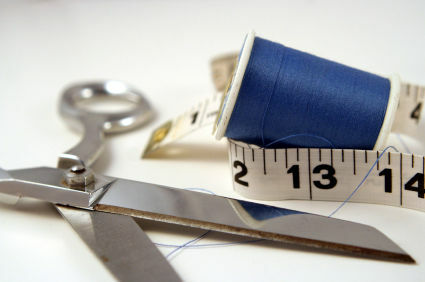 If you don’t know a great alterations person, ask for a recommendation in your network/through social media, or do an online search for “alterations” in your area. Take your chosen garments to the alterations person. It’s amazing how much more from your wardrobe you can get, especially when you can let go of any preconceived ideas or rules around what you clothes can, and can’t be. A gorgeous jacket is not doing you any favours hanging in your closet unworn – no matter how much it cost you. Either let it go (give it away or sell it) or do something with it to make it wearable, for the life and style you have now. You’ll love your wardrobe when everything in it – every single item – fits your life and your style as it is right now. And reimagining and reworking existing garments is one easy way to help you create the wonderful working wardrobe you deserve! Reimagine and rework existing pieces to get that extra squeeze!